I was doing an Assault on Violet Hold mythic difficulty dungeon with 2 friends, (Grimch and Mantha), and after killing the 1st boss this legendary dropped for me, but then game crashed and after relog the legendary was gone. 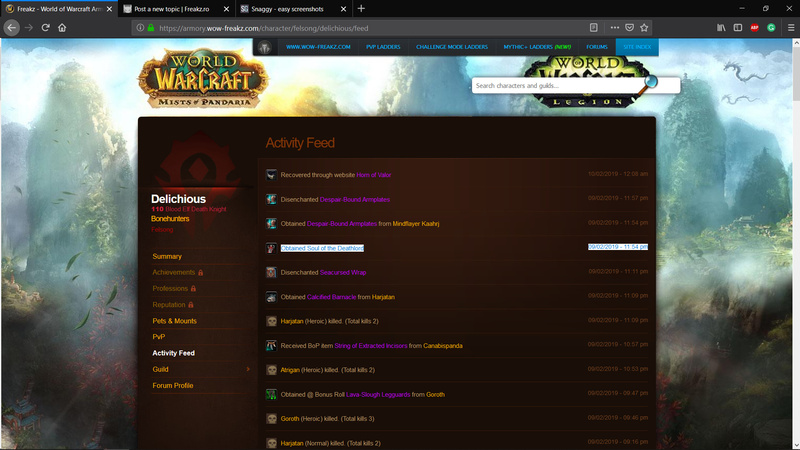 If you check the screenshots you can see it appears as looted in guild news feed and also on armory loot feed. I really hope you can get this back for me, even if it's 910 or something, I really need it.